Mallory Thompson is director of bands, professor of music, coordinator of the conducting program, and holds the John W. Beattie Chair of Music at Northwestern University. In 2003 she was named a Charles Deering McCormick Professor of Teaching Excellence. As the third person in the university’s history to hold the director of bands position, Dr. Thompson conducts the Symphonic Wind Ensemble, teaches undergraduate and graduate conducting, and administers all aspects of the band program. Thompson has recorded five albums with the Northwestern University Symphonic Wind Ensemble on the Summit Records label. 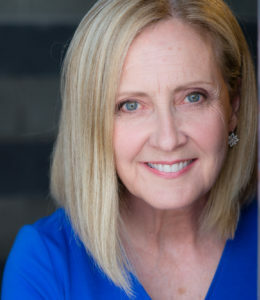 Dr. Thompson received the Bachelor of Music Education degree and Master of Music degree in conducting from Northwestern University, where she studied conducting with John P. Paynter and trumpet with Vincent Cichowicz. She received the Doctor of Musical Arts degree in conducting from the Eastman School of Music, where she studied with Donald Hunsberger. Dr. Thompson maintains an active schedule as guest conductor, conducting teacher, and guest lecturer throughout the United States and Canada. She has had the privilege of teaching conducting to thousands of undergraduate students, graduate students, and professional educators. Dr. Thompson has served as a conductor or clinician at the College Band Directors National Association regional and national conventions, the Midwest Clinic, the Interlochen Arts Academy, the International Trombone Association, the International Trumpet Guild, the American Bandmasters Association, numerous state music conventions, and the Aspen Music Festival. In addition to conducting all-state ensembles throughout the United States, she has had professional engagements as guest conductor with the United States Air Force Band, the United States Army Band “Pershing’s Own,” the United States Army Field Band, the United States Coast Guard Band, the United States Navy Band, the West Point Band, the Dallas Wind Symphony, Symphony Silicon Valley, the Detroit Chamber Winds and Strings, Monarch Brass Ensemble, and Banda Sinfónica in São Paulo, Brazil. Her professional affiliations include Pi Kappa Lambda, the College Band Directors National Association, and the American Bandmasters Association. Dr. Thompson is especially proud of her 48 graduate conducting students and the hundreds of outstanding Symphonic Wind Ensemble members with whom she has had the joy of making music at Northwestern. She treasures her relationship with the Wildcat Marching Band and is honored to preserve and grow Northwestern’s legacy.